At Paul Sherry Chrysler Dodge Jeep RAM, we offer a wide range of box trucks for sale in Ohio, including multiple types of commercial trucks. Among these, you will find commercial box trucks that are perfect for many types of businesses. Our box trucks can take care of all your cargo-hauling needs, making them ideal for any business that needs to carry bulky items around. We pride ourselves on offering a great selection of commercial box trucks for sale in Ohio, along with the other models in our inventory. You can find several different model years to choose from, most of which are based on the RAM ProMaster. Our selection of commercial box trucks means that you should be able to find one that meets your specifications. This will be true regardless of the amount of space you need for cargo, your preferred engine, your budget, and other factors. As with every other vehicle in our inventory, you can see a full listing for each of our available box trucks, new and used, online. This includes a detailed description with key features and specifications, along with photos from every single angle, both inside and out. This way, you will know what to expect before you even head to our dealership to take the box truck for a test-drive. Since every client is unique, our team at Paul Sherry Chrysler Dodge Jeep RAM is proud to offer the ability to custom order a box truck. This is a good option for clients with very specific needs or anyone who does not see a vehicle meeting their specifications in our existing inventory. 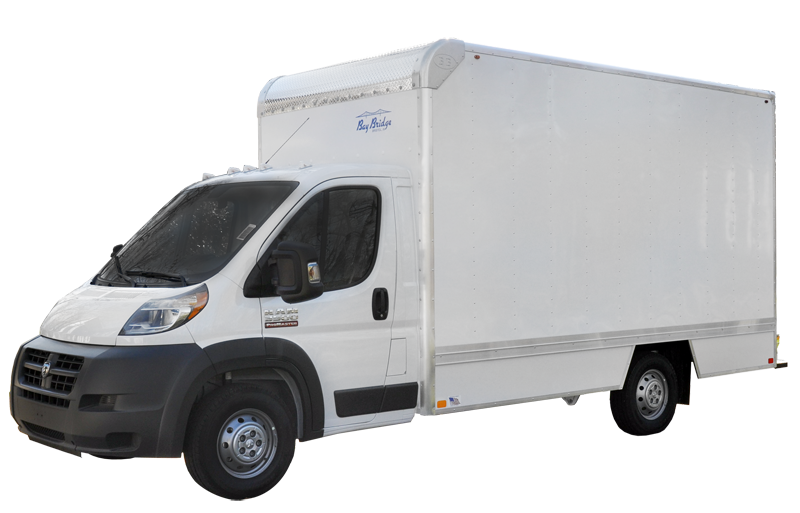 When you custom order a box truck from our dealership, we will work with you through the entire configuration process. This way, you can choose exactly which features and specifications you want it to have. There is no need to settle for specifications that work but are not ideal. Feel free to talk to our team to learn more about our custom commercial box trucks. We will gladly answer your questions so you fully understand exactly what a custom truck and the configuration process include. As you browse our inventory, you will notice that many of our commercial box trucks for sale are from Bay Bridge Manufacturing. We choose to work with Bay Bridge due to the company’s high standard of manufacturing and reputation for producing reliable vehicles. Bay Bridge has earned that reputation over the past 30 years, manufacturing multiple styles of truck bodies, such as the box truck. Bay Bridge offers a variety of box truck options, which our dealership puts within your reach. This allows for an extensive amount of customization. Front appearance options, for example, include radius front with cast corners, cab-over, wind fairing, and high-top, depending on the Bay Bridge box truck model. The door to access the box from the cab can be a sliding door in several sizes or a full cutout. The roof can be translucent, white-lined, or lined, depending on the model. Other Bay Bridge box truck options customize the floors, lighting, doors, rear bumper material, or add in elements to keep your cargo in control, like ladder racks and tie rings. Bay Bridge even has multiple liftgates, ramps, hitches, backup cameras, and more. 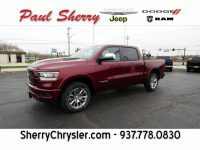 When you are searching for a commercial box truck for sale in Ohio, let our team at Paul Sherry Chrysler Dodge Jeep RAM assist you with the process. We will gladly show you the models of box trucks that are currently in our inventory. Or we can guide you through the process of ordering a custom box truck. With a varied inventory and in-house financing, we make the process of selecting and paying for your vehicle breeze by. We understand that your time is valuable and aim to use up as little as possible while still ensuring you get the commercial box truck you need.